Yes yes yes. INTJs unite (but only on screen and paper, please)! I was a bit confused by your comment since I love being w other INTJs. But then recalled working with one, and we rarely completed sentences, understanding the project we were on. The business owner finally shook his head, said we obviously knew what we were doing and walked off. Hahaha. I don’t really like group work and like to do a lot of work alone. And I’m hugely INTJ–as in all my points are in that direction and not in the other categories! The quote is so true. 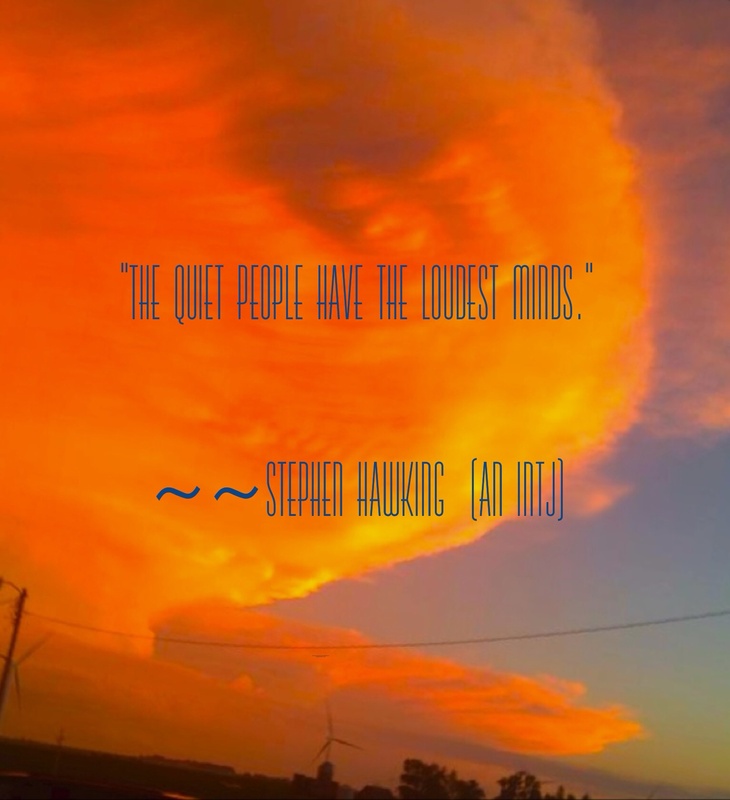 Quiet kids are thinking minds. I’m INTJ and I can SO relate! As an INTP, I can relate!